YSL Black Opium Floral Shock £71* Debenhams got in touch recently and asked if I wanted to try out the new Black Opium Floral Shock Eau de Parfum, of course I jumped at the chance. I've always wanted to try the Black Opium fragrances as they're a classic and timeless scent, I love the floral take on the well-known perfume and knew it would instantly be one I would love. The perfume is described as "burning exhilaration" and Debenhams asked me to describe a time where I have felt most exhilarated. Next week, I will hand my 10,000 word dissertation in to University. 3 years of work all concluding in the handing in of a mammoth assignment. It's exciting, I haven't particularly enjoyed my degree a great deal so it's nice that it's coming to an end in a piece of work I have enjoyed writing and am proud of. Anyway, on to the scent! It's described as a mix of the classic electrifying Black Opium but with a floral freshness comprising of bold citrus notes and white musk. If you find the original Black Opium too strong and powerful then this is a slightly lighter and fresher alternative. I adore the packaging, who doesn't love a bit of glitter? The purple ombre glitter shows that it is the less dramatic option in comparison to the strong black glitter packaging of the classic Black Opium. 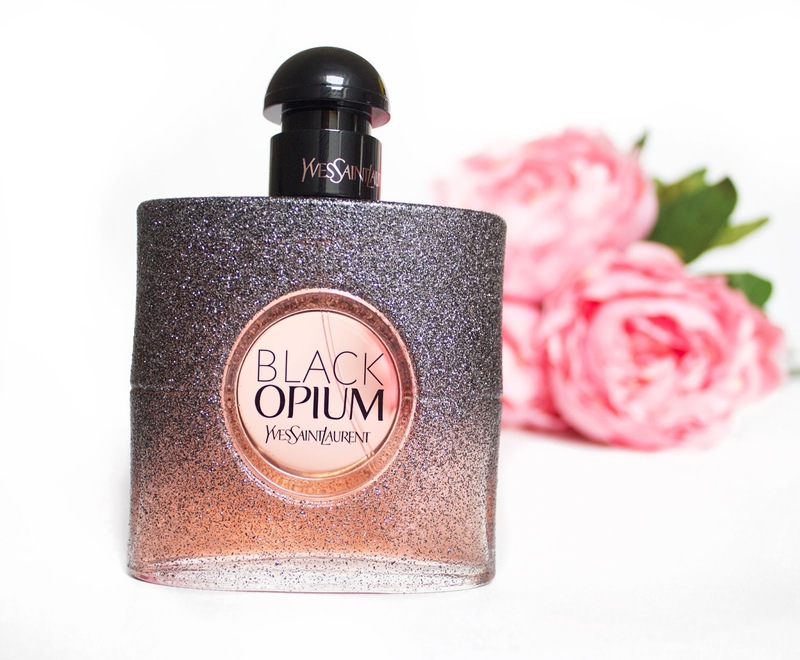 You can check out Black Opium Floral Shock here or if you want to browse at the other scents Debenhams offer, perfect for a last minute Mother's Day gift, you can check them out here.